When you are investing in equity mutual funds, Stocks or other high risk-oriented investments like real-estate, one sage advice you often get to hear is that ‘invest for long-term’(or) have a ‘long term investment horizon’. Almost all the investment related articles that you read and the programs you watch on TV, advice the investors to stay invested with an investment horizon of long-term. Will investing for long-term definitely gives your decent returns? What are the benefits of investing with a long term investment horizon? Let’s say you book a Fixed deposit or Recurring deposit for 10 years, will you get decent returns? Will the inflation/tax adjusted returns on your investment make you happy? No – am I right? Inflation and taxes will eat away a major chunk of your returns. So, investing for long-term is just not good enough! Investing in right investment avenues is equally important. These avenues can be high risk-high reward ones, which can also give you an income which is tax-exempt. Another investment which can give you decent investment returns is ‘real-estate properties’. But unlike, mutual funds / stocks, investing in property may not be suitable to everyone. Your investment in property can wipe out your life-long earnings, if you invest in say a property which has litigation. One has to have the ability and willingness to take risk. In most of the circumstances, the willingness to take risk is more important than the ability to take the risk. Investing in RIGHT investment avenues for long-term is very important. Keep reviewing your investments once in a while. Invest with a conviction and stick to your investment plan. 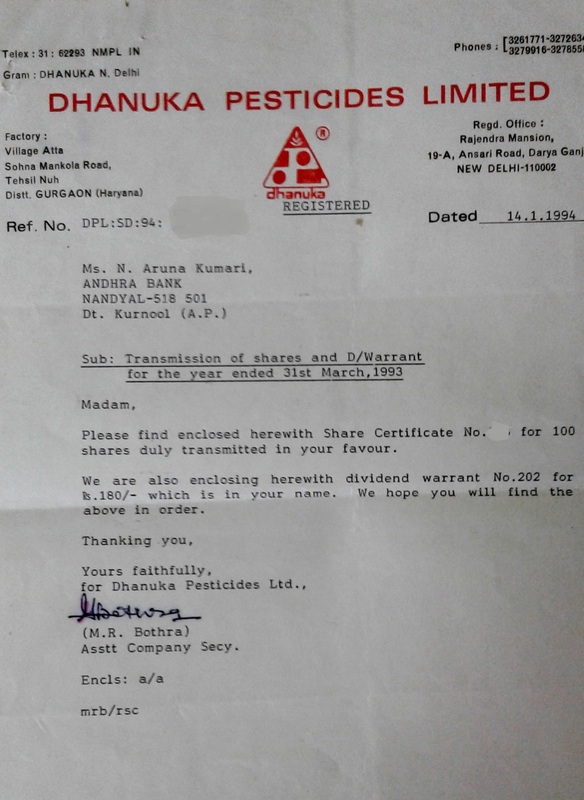 My father had expired in 1992, hence the shares have been transferred to my mother’s name in 1994. We, have been holding these shares since then…and now have 500 shares (including bonus shares). We, as a family have a strong agricultural background. But, my father was a bank employee. 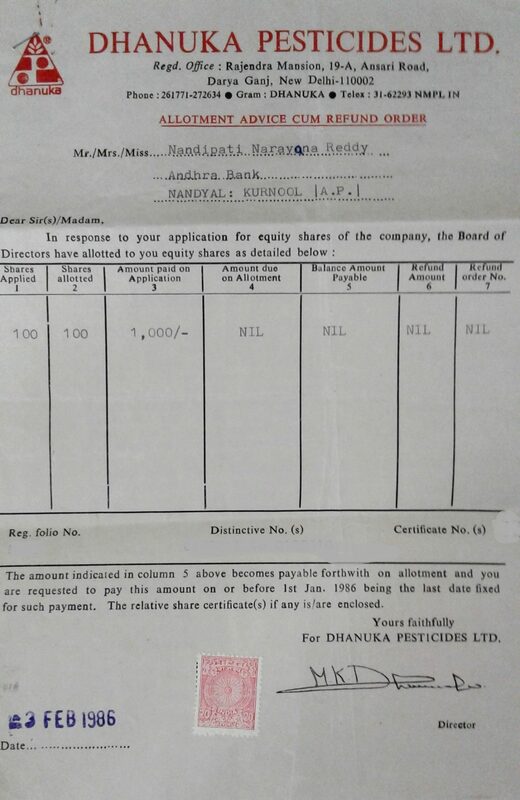 During the initial years of his employment, though his risk taking ability was low, he had believed that a fertilizer company may do well in the years to come and hence invested in this fertilizer company for long-term (my mother says so..). If we consider Rs 1,000 as the capital invested in 1986, at the current price of around Rs 680, the CAGR (Compounded Annual Growth Rate) works out as around 20.6% (excluding dividends and other calculations). Are we blindly holding on to these shares? – No. Every year (since 2002) my mother asks me two questions after the end of every financial year; i) Did we receive the dividend? & ii) Shall we hold on to these shares for one more FY?.. Personally, I have been tracking this stock and its performance (share price as well company’s) once in 6 months or in a FY. Also, added it to my ‘watch-list’ (on moneycontrol APP). 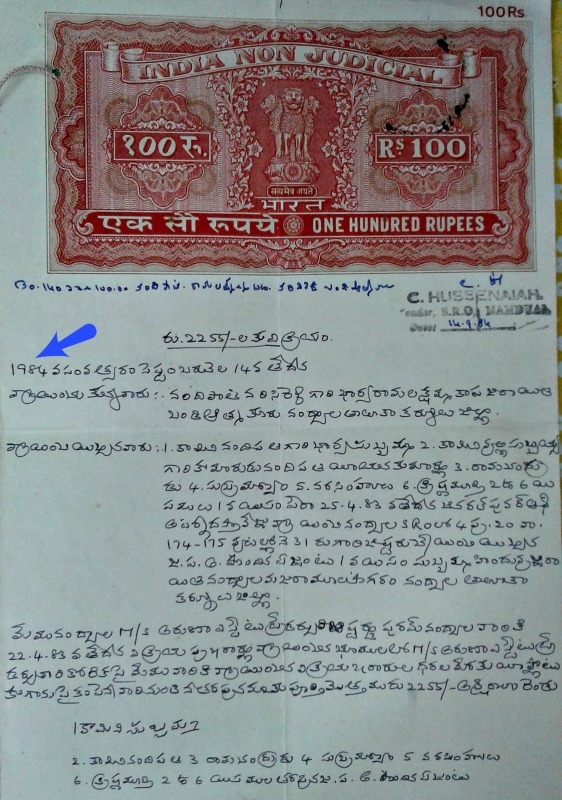 My father has also invested Rs 4,000 (market value) in a residential plot at Nandyal (a small town in Andhra pradesh), way back in 1984. The current value (unrealized) of this property is around Rs 20 Lakh, returns of around 20.7% (taxes have been ignored). Which are the best investment options suitable for long-term investment? These are risky investment options, but you may have to take calculated risks to achieve desired corpus amount(s) for your long-term goals (7 to 10+ year goals). Below chart gives you an idea about the inflation rate in India during the period from 1959 to 2016. The average inflation rate can be assumed at around 6-8%. So, ideally your long-term investments should give you returns of around 5-6% over and above the inflation rate. You may kindly read my article on : What is Real rate of Return? Starting early and investing for long-term gives you time to hold and be patient with your investments. Long term investors with their eye out into the future usually ignore current market conditions, or at least, don’t obsess over them. They may tweak their portfolios a bit, but they don’t overreact to market movements. Except for the small proportion of people who have inherently inflation-linked lifelong income, everyone else may have to invest almost all their long-term investments in equity oriented securities. By staying invested for long-term, you may actually avoid making costly mistakes, and may benefit of any powerful bull rallies. You may also get the benefits of the Compounding factor. When you’re invested for the long term, your average return becomes much more stable over time and it’s less likely that you’ll lose money. Various studies show that as we lengthen our investment horizon, the average annual rate of return over that timeline becomes less variable. Last but not the least, you need luck to be on your side to make decent profits with your investments. Nevertheless, ‘fortune favors the brave‘! In Hindu mythology, the saying goes as ‘Dhairye Sahase Lakshmi‘, it means that courage and valor itself is Lakshmi. Take risk, invest with a conviction and have a long-term investment horizon. Cheers! Dear Mr Singh.. Thank for following my blog and for the appreciation! Surely, will try to launch at the earliest. In fact, I have recently had initial discussions with my tech team, let’s hope everything goes well. As of now, we are doing feasibility study! I regularly follows your article. Actually my father brought 36oo shares in 1994.5 years back that company was de listed due to some issues. Around 3 years(Apr- 2014) back my father expired. Till now that shares are on my father name. could you please suggest me how to proceed? Many investors have in their portfolio shares of companies that have delisted from the stock exchanges. The stock exchanges have made its mandatory for such companies to accept share buy-back requests for at least one year after delisting of shares. But after one year, investors can do nothing with their delisted shares held in physical form. They however remain shareholders and are entitled to receive all dividends and bonus / rights shares issued by the company. However, I have seen some brokers doing off-market transactions on unlisted shares (not sure on this though)..You may kindly check this link..
My father retired this year in June and he has around 50 lakh in cash. He is looking for a low risk investment which can beat inflation and generate monthly income of around 40-50 thousand for household expenses. Is he/family totally dependent on the income generated from this corpus? Any other sources of income? He has no other sources of income (as he has retired) but he has considerable investments in real estate, Gold, fixed deposits and some stocks, ELSS mutual funds which he had accumulated when he was working. In the past he was lending money to local businesses at higher interest rates but now he wants to avoid such lending. He has no other responsibilities as both children are well settled. Also he does not want to touch the investments in real estate, gold, etc. With this 50 lakhs, his aim is to generate monthly income of around 40 thousand for his every day expenses and keep up with inflation on yearly basis. His main worry is that 10 years down the line 40,000 per month would not meet the expenses because of inflation. 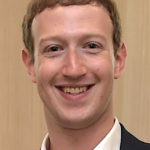 Considering his profile, he may consider setting up STPs from liquid funds to couple of equity oriented balanced funds. Ex : HDFC Liquid fund to HDFC Balanced fund. And can also set up SWP (Systematic withdrawal plan) to withdraw fixed sum for a certain period. Kindly note that STPs are treated as normal redemptions (from liquid fund) hence kindly be aware of the tax implications and also risks associated with Balanced funds. He may also consider Aggressive MIP funds – for SWPs. How dividend yield of a stock is calculated? Also how to select a best stock based on dividend yield ? Do we need to consider FV, CMP or only dividend yield percentage to select a best dividend yieled stock ? Dear LD..You may kindly GOOGLE for the required information. Could you kindly segregate the schemes for the respective goals? The debt funds are for which goal? How to select right mutual fund schemes? I have selected Debt funds to keep money for safe replacements of existing FDs. And Goal is buying House (2-3 year horizon). Most of the equity funds you have listed are good ones, you may allocate them for your long-term goals like Kid’s education & your Retirement goal. MIP Fund is fine, but kindly be aware of the risks associated with aggressive MIP funds. Thank you Sreekanth for your advice. Planning to invest in MF thru Lump sum and SIP with 3 lakhs in different monthly dividend payout Balanced Fund scheme and invest that monthly dividend amount in monthly SIP scheme. So kindly suggest me some different funds for both the schemes. I will hold my investment 3 to 5 years. Dear Vas ..May I know the reason for opting for this kind of strategy? What do you mean by Monthly SIP scheme? If your investment time-frame is around 5 years and wealth accumulation is your investment objective, you may invest in Equity oriented balanced funds (Growth), you may setup SIPs in these fund(s). With my salary income i can’t go for monthly investment hence i decided this strategy. Is it right decision? please guide me. If that is the case, you may kindly consider investing lump sum amount in couple of Liquid funds and then set up STP (systematic transfer plan) of some fixed amount (monthly) which will be routed to Equity oriented funds. For ex : HDFC Liquid fund to HDFC Balanced fund. Very informative and proves that Real Estate investing can never beat Long term Mutual fund investing. I believe that it is not correct to generalize and say ‘MFs returns can never beat returns on Property’. Let’s not forget the fact that investing in real-estate can be more risky than investing in Equity oriented schemes. Whereas, any small investor can start investing in MFs through SIPs and this can bring in the investment discipline, which is very much needed.